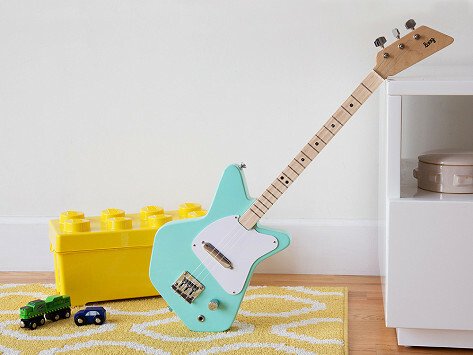 This kids’ three-string electric guitar is just like the real-wood, grownup ones, except it has a slimmer neck to make learning easy. 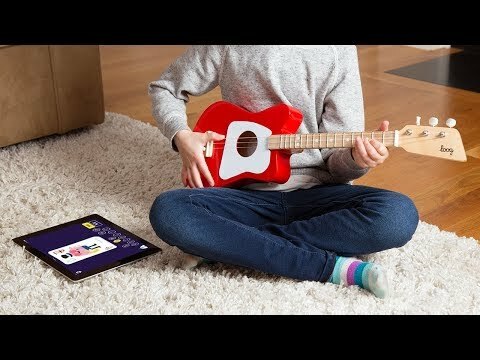 Little rock stars can use the app it comes with to embark on a musical journey with adorable characters, flashcards, and video lessons from a Grammy award winner. And the digital teaching library has everything from The Beatles to Taylor Swift. Dimensions: 28.5" x 8.8" x 2.4"